This is a modern re-creation of the famous Thomas Edison Cylinder Phonograph. 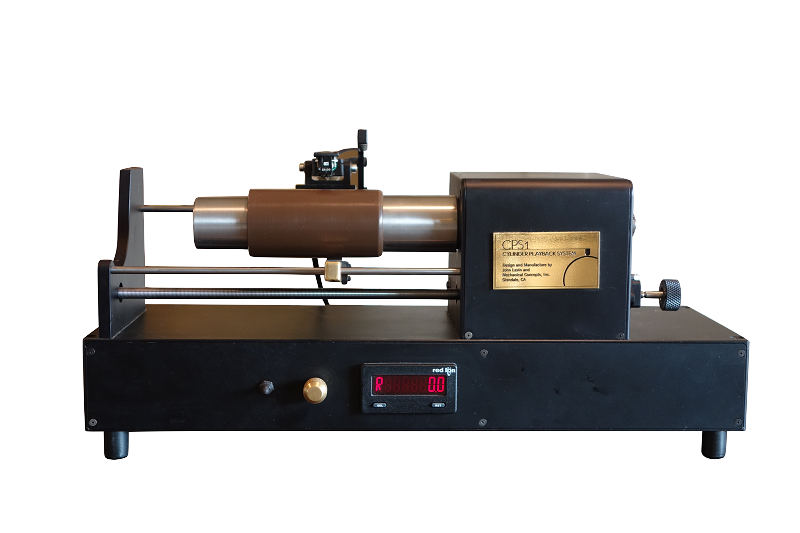 It was designed to allow historians and enthusiasts to play and digitally record wax cylinder recordings from the late 1800's using a modern modified stereo cartridge and stylus. It features a servo drive with timing belt transmission that drives both the mandrel and stylus (cartridge and stylus not shown). The transmission can be shifted to play either standard or long playing cylinders by pulling a knob located on the back of the machine. Lastly, the phonograph features a custom designed control board that allows digital speed control.